The Three Stone Stove utilizes heat from a three stone fire. 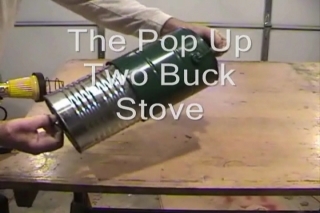 The CRAB Stove a low cost metal charcoal stove by Lanny Henson. 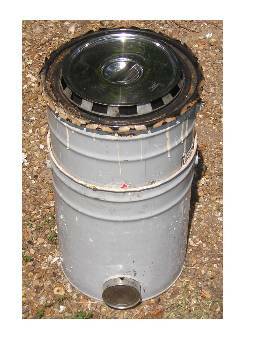 CRAB Stove- The Henson Charcoal Rice And Bean Cooker cooks, serves and holds. It is efficient and saves up to 75% on fuel. It is inexpensive, easy to build and easy to use, just light it and forget it. Only 150 grams of charcoal cooks 5 kilograms of rice. That is about ¼ the UCB Water Boiling Test Benchmark of 600 grams for charcoal. The CRAB Stove only needs 175 grams of charcoal cooks 5 liters of pintos for 2 hours, or boil and simmers 5 liters of water/stew. It functions three ways, it cooks, it serves, it holds. Henson Center fire, simple tin can wood gas burner cartridge module.